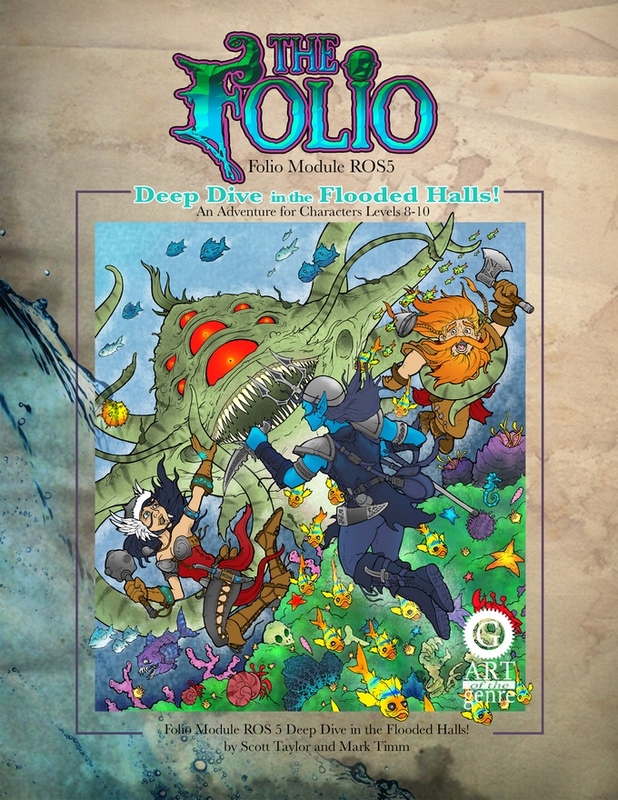 I've seen the Folio adventures mentioned here and there, I just have one quick question. Does the ROS5 product number mean that it's the 5th chapter of an "adventure path" type serial? Or just that it's the fifth such adventure module from the publisher? Is it possible just to buy hardcopies of the older ones (that have already been funded/created) somehow? I didn't see them on Lulu, and only saw PDFs one Onebookshelf. I don't believe the older ones are available to buy individually; at least not the first two. There is a backer reward level on the kickstarter that allows you to get all of them in print, but it's not cheap and it's limited.. Also, I don't think these are available in hardcover. They are designed like the older TSR modules, with fold out covers and separate booklets. The pdf's are inexpensive though. All 6 are going for $35 US.